Now that TeleSur is broadcast live on Cuban TV, will the island see an end to censorship or is it just another “fraudulent change”? Telesur, the official network for Hugo Chavez and the United Socialist Party of Venezuela, is broadcast live on Cuban television. Photo: Alejandro Villanueva. Creative Commons. At the beginning of the 1950s Cuba stood as a pioneer of commercial television broadcasting. However, decades of hard-line state censorship have transformed Cuban television into a weapon of ideological subjugation. 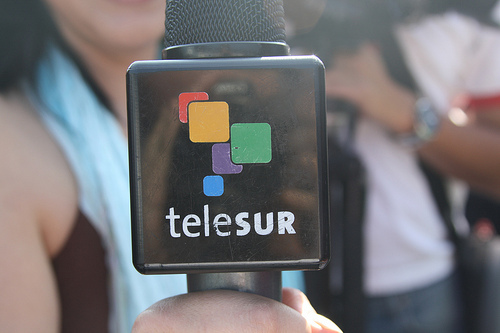 Despite this fact, in January, 2013 the island’s government authorized the live transmission of a foreign network: The Bolivarian network TeleSur, which was originally based in Caracas, but is overrun by Cuban presenters and crew. Even though Telesur is the official network for Hugo Chávez and his radical United Socialist Party of Venezuela (PSUV), the Cuban audience has been enthusiastic about its programming, which is still less tedious than the few local channels that are available on the island. Recently, for example, President Barack Obama’s inauguration speech was televised—an unprecedented feat in a country still festering within the anachronistic “anti-imperialist” rhetoric of the Cold War. And even though Cuba boasts of being as “educated” as it is “free,” in practice citizens often suffer from audiovisual illiteracy. 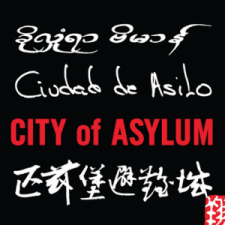 As a result of governmental regulations (or apartheid), many Cubans are forbidden from signing up for cable TV or a simple dial-up Internet account. For the moment, the Cuban people, stuck between apathy and frivolity, can enjoy their favorite hobby—watching trashy soaps and keeping up with professional sports leagues—thanks to TeleSur. Sadly, the topic of our violated human rights is one that most people prefer to leave to one side.